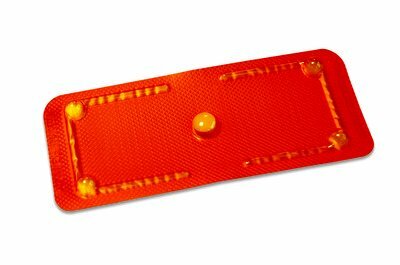 A New York judge has ruled that girls of any age can now purchase emergency contraceptives without a prescription. In a landmark court case, Judge Edward R. Korman of the Eastern District of New York has lifted the Food and Drug Administration's age limits for girls purchasing morning-after pills, now making the drugs available over the counter to girls of all ages. Korman’s ruling overturns a decision from December 2011 by Department of Health and Human Services Secretary Kathleen Sebelius that barred girls under age 17 from obtaining the morning-after pill without a prescription. The Department of Health and Human Services was profoundly influenced by President Obama, who had made statements before his election against making morning-after pills easier for young girls to buy, saying that if they were available to all ages, girls as young as 10 could walk into drugstores and purchase them just like "bubble gum or batteries." Political motivation for the case arose in order to appease more conservative voters and political leaders. Many argue that Obama’s statement was made in cowardice in order to attract conservatives during election season. By striking down age limits, Korman’s ruling is more aligned with Obama’s current stand on birth control rights, which includes free contraceptives as part of his overhaul to the healthcare system. Sebelius stated that there was science behind the claim back in 2011 when the law went into effect, because the manufacturers of the emergency contraceptives did not test the effects of the drug on girls as young as 11. Meanwhile, unrestricted access to emergency birth control has been supported by scientists at the Food and Drug Administration, American Medical Association, the American Congress of Obstetricians and Gynecologists, and the American Academy of Pediatrics for years. The decision will not go into effect immediately, but consumers can expect to see the age limit disappear soon. Subject: LongIsland.com - Your Name sent you Article details of "Judge Lifts Age Limits on Over-the-Counter Morning-After Pill"